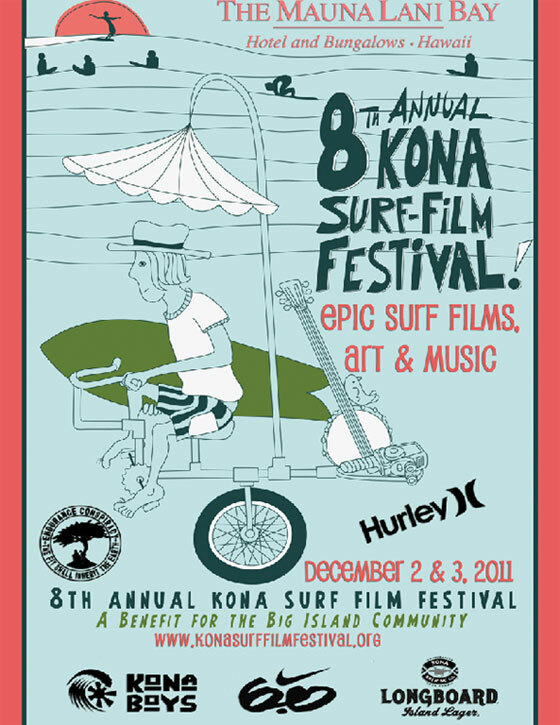 The Kona Surf Film Festival is all set to start December 2 and 3 at the beautiful Mauni Lani Bay Hotel and Bungalows. Obviously we’d all love to be there to see all the top film submissions, but since most of us won’t be able to do that, we can at least watch the cool trailers. In the summer of 2008 iconic surfer and former Pipe Master Rob Machado flew to Indonesia to experience a different kind of surf trip. A journey that would take him way beyond his comfort zone to the point where he could finally be alone with his thoughts, his desires and the empty perfection of an unnamed Indian Ocean reef. What did he discover? You never stop dreaming, even when dreams do come true. The Kona Surf Film Festival is proud to welcome Rob Machado as a special guest and friend of the Fest. Quietly hidden from the rest of the world lies a small town filled with ordinary people, with extraordinary stories; Stories that never seemed to matter until now. Raised in Hilo, on the windward side of the Big Island, Cliff Kapono, screens his debut film and will attend the festival to share his insights and experiences from producing this work of art. Nike 6.0 presents this latest film project, starring the new generation of woman surfers who push surfing to the next level. Starring Carissa Moore (Hawaii), Lakey Peterson (California), Laura Enever (Australia), Coco Ho (Hawaii), Byrne-Wickey Monyca (Hawaii) and Malia Manuel (Hawaii), the film follows the women as they travel the world circuit to Australia, California, Hawaii and Mexico. The Kona Surf Film Festival is proud to welcome Lakey Peterson as a special guest and friend of the Fest. Lost & Found is a documentary based on the discovery of 30,000 black and white surfing negatives at a flea market in Pasadena,California. As it turned out, the images belonged to Surfing Magazine from the iconic times of the 60s and 70s. It’s a journey over three plus years of reuniting and sharing the images capturing stories that unless told, would have been lost. Year Zero is a modern take on high performance surfing set in a post-apocalyptic world, reminiscent of Mad Max or an HG Wells novel. It tells a story of a band of renegade surfers, including Dion Agius, Yadin Nicol, Nate Tyler, Taj Burrow, CJ Hobgood and Damien Hobgood on a road trip through the apocalypse in search of waves, women and good times. Gum For My Boat is a story of hope focusing on the Bangladesh Surf Club and its members. The club consists of around 30 male and female members and is helping to introduce surfing into a culture in a very unconventional method. From Kai Neville, the creator of Modern Collective, Lost Atlas is a view of postmodern surfing. This is youth on the run set to a killer soundtrack that veers across all genres. For more information, visit the Kona Surf Film Festival’s website.